When faced with a grim violent crime charge, you need a Violent Crime Defense Attorney who will treat your case with equal severity; an attorney that understands what hangs in the balance for you and your family. 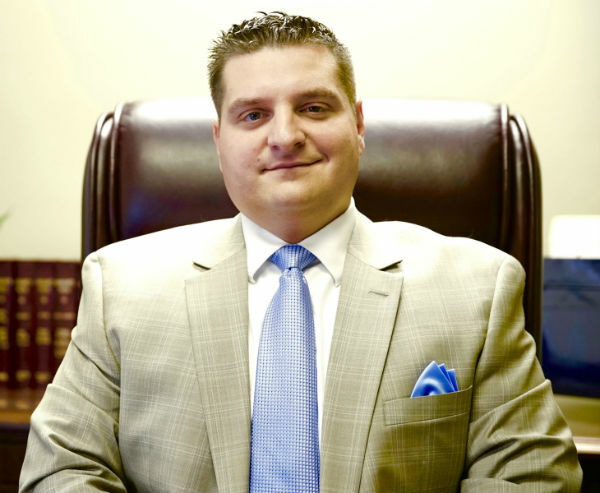 Attorney Moraski is an experienced Violent Crime Attorney who will treat your case with the seriousness it deserves. Attorney Moraski has an intimate understanding of Violent Crime Defense and will provide you with a legal strategy for your case. Oftentimes, he will negotiate a plea that gets your charges reduced to less serious charges and if your case goes to Trial, he will work tirelessly to see you exonerated and proven innocent. There are multiple times of crimes that are punishable under the laws of the U.S. government and the state of Massachusetts. Of all of the crimes, however, violent crimes are the most harshly punished, and carry the largest repercussions when a defendant is convicted. If you have been charged with a violent crime in Boston or Salem, you probably already understand how serious the situation is. What Are the Penalties for a Violent Crime Conviction? The penalty for a violent crime conviction will depend on the type of violent crime committed, and the extent of harm suffered by the victim of the violent crime. That being said, many violent crimes carry felony penalties. Felonies are those that are punished by incarceration or/and fines. In the event that an individual is released from prison, their future opportunities may be significantly impaired – a criminal mark on one’s record can make it hard to get a job, to obtain higher education, or to find housing. Self-defense. In the event that the violent crime was executed in defense of oneself, it may not have been a criminal act at all. Defense of property. In some cases, a person is legally allowed to defend their property (i.e. if the trespasser is using force and bodily harm is imminent). Intoxication/impairment. While this is rare, it is possible to argue that a person charged with a crime was unaware of their actions because they were intoxicated or impaired. This argument is stronger if the impairment was involuntary. Attorney Moraski has an intimate understanding of criminal defense laws and how to build a strong case to support a defendant. Treating each case seriously, Attorney Moraski will develop a legal strategy for your case, may negotiate a plea deal that results in less severe charges against you, and will work tirelessly to vindicate you. The above is true regardless of the charges against you; attorney Moraski is committed to defending the civil and constitutional rights of all persons charged with a crime. If you have been charged with a violent crime, the results can be disastrous. To improve your chances, contact an experienced violent crimes defense attorney today. Attorney Moraski spends time and conducts a thorough investigation of every individual case; including gathering information from witnesses and Law Enforcement Officers. With the help of Attorney Moraski, you will understand the full ramifications of your criminal charge and receive the best possible advice, always striving towards minimizing the damage. Regardless of the charges filed against you, Attorney Moraski will ensure that your rights have been protected and while zealously defending you.